Last view: 3 days It's awesome to see that you're working on something again, RetroRain. I always look forward to whatever you're putting together if you have something in the works! Keep it up and best of luck! Multimedia Fusion 2 is absolutely crappy in just the right set of circumstances. Among other things, if you collide with two items at once and handle them with qualifiers (MMF2's version of object classes) then only one will register (but actions will be performed to both items). Not to mention it slows down at the tip of a hat. And I can upgrade the graphics quality without being limited to what I can do in the ROM. Damn, I've been working on a Z2 hack since 2008, and only now am I getting into the technical aspects of it. Last view: 87 days Well regardless of which one is better, I like having the freedom to do more without all the hassle. I still like ROM hacking, it's just I'm trying to actually do what I want without having to do go through the whole damn ROM and doing all sorts of ASM hacking just to get one simple thing to work. This takes a load off your back. Last view: 51 days Here is a debugger I made for testing. Here is the VK intro made perfect. oh and frozen werewolves to you all. Last view: 87 days Nice work there elbobelo. Scrolling clouds and falling rain. Last view: 2957 days That's pretty awesome, Retro! Can't wait to see more! That's pretty awesome, Retro! Can't wait to see more! Thank you. I can't wait to see more of your stuff too! It's awesome to see that you're working on something again, RetroRain. I always look forward to whatever you're putting together if you have something in the works! Keep it up and best of luck! Hi Quick Curly! I meant to reply to your post earlier. I appreciate the comments. I'm glad to see that you're still around too. I always look forward to seeing your stuff as well. You guys are great game designers! EDIT - I may or may not be porting it over to Game Maker, because I'm currently having difficulties with the events in MMF2, and this isn't the first time I've had a problem with the events in MMF2. I agree that MMF2 is not perfect, and there is a lot that can be improved on, but I might check out Game Maker again and decide for myself which one is better. Considering the War Room has no Fog of War, I thought I'd do it this way. Von Bolt still needs a palette and probably some sprite adjustments. That is a change I approve, especially how pointless Sonja tend to feel on maps without fog of war. Heh, I had KnP and still have the Games Factory on my comp, which I still use for spriting. Last view: 87 days You can make a perfectly good NES game in Multimedia Fusion 2, check the YouTube link below. This guy was working on a game called Super Mario Bros. Fusion. It didn't follow all of the rules of the NES, as he used midis for music, and some other things, but he did release everything he had worked on up to this point. Check this video out of his game, it looks like an actual NES game with a Mario/Zelda hybrid engine. It was part of the inspiration for my game. I used to have Klik and Play and Games Factory back on my old computer like nine or so years ago... if you can create a reasonable approximation of the Zelda 2 engine with MMF2 I don't see a problem with using it for your fangame, though of course it's not really a ROM hack at that point. I wouldn't say it looks bad, in any case. I have to admit I was never any good with TGF. 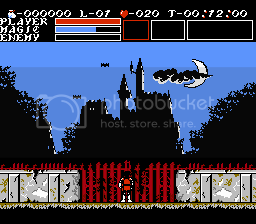 You can make a perfectly good NES game in Multimedia Fusion 2, check the YouTube link below. This guy was working on a game called Super Mario Bros. Fusion. It didn't follow all of the rules of the NES, as he used midis for music, and some other things, but he did release everything he had worked on up to this point. Mario/Zelda/Metroid, you mean... yeah, that's pretty neat. Most attempts to remake old games in new and easy-to-use-engines (think Flash) fail due to the creators using scaled-up graphics but not bothering to make movement grainy in a manner compensating for that, thus getting sprites consisting of 4x4 blocks moving around the screen in a perfectly smooth (and cheap-looking) manner. It's nice to see they seem to have averted this problem. 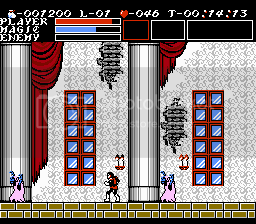 This hack has been out for a while, but I decided to go back and redo all of the corridors, which were mostly unedited in the previous edition. This version won't be out for a little while. 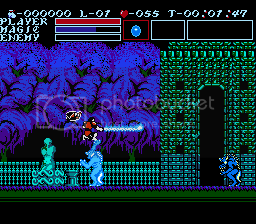 Guardian Legend was one of my favorite games for the NES! 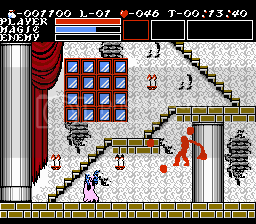 I had completely forgotten it's name but I instantly recognized the gameplay. Awesome! Last view: 214 days i am writing an editor for Bionic Commando. 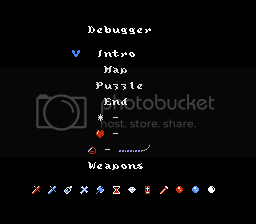 The GUI is not complete. MySQL - queries: 102, rows: 143/0, time: 0.103 seconds.